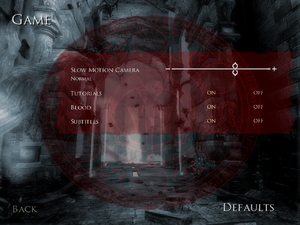 Deleting, or renaming Video folder skips loading screens, as well as intro videos, and cutscenes. Extract pop2.7z files to the installation folder (password: pop2). Run upx.bat for the GOG.com version. 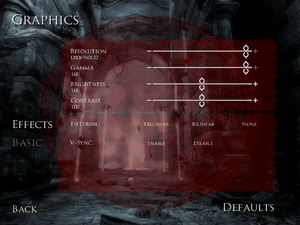 Edit pop2.ini to set the resolution and FOV multiplier. Supported exe size: 5 533 696 bytes. 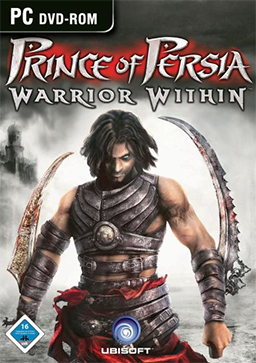 Set name to Prince of Persia - Warrior Within. 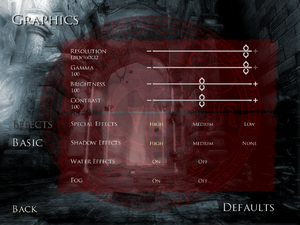 Click on DirectX tab, set DirectX9. Run the game directly from DxWnd. Use 3D Vision fix to toggle the blur, bloom, and heat distortion effects. Works for the entire trilogy. Open POPDATA.BF with a text editor such as Notepad ++. Press Ctrl+F and find the line Input event names. 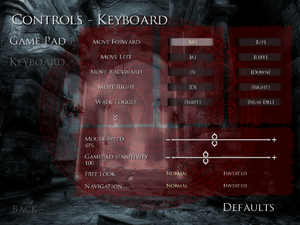 Under it go to Gamepads then change the buttons to what you want. Make sure you don't increase or decrease the file size as it will make the game crash. Xbox 360 and DualShock 4 replacement files can be used (only for Warrior Within). 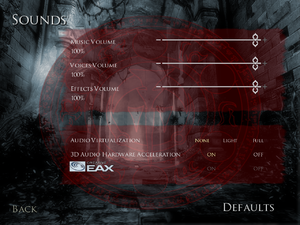 May require DirectSound3D restoration software to enable EAX and surround sound functionality on Windows Vista and later. See Helix Mod: Prince of Persia: Warrior Within. Error: "The game cannot be launched. The filename, directory name, or volume label syntax is incorrect." Mark PrinceOfPersia.exe to run as administrator. ↑ 4.0 4.1 File/folder structure within this directory reflects the path(s) listed for Windows and/or Steam game data (use Wine regedit to access Windows registry paths). Games with Steam Cloud support may store data in ~/.steam/steam/userdata/<user-id>/13500/ in addition to or instead of this directory. The app ID (13500) may differ in some cases. Treat backslashes as forward slashes. See the glossary page for details.